As the saying goes, a woman looks beautiful when she bears her baby in her womb. The blush and glow out of happiness makes her gorgeous even without make up. However, the sudden bump on the belly make a lot of women conscious. 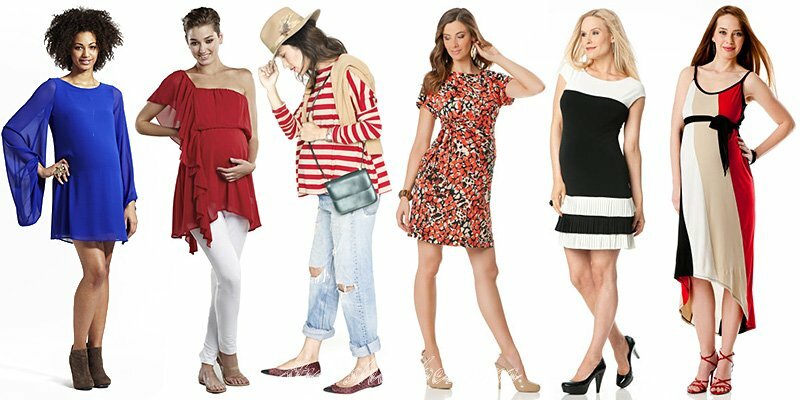 If you are one of them then let me tell you, even during maternity phase you can stay stylish and wear trendy outfit and look amazing. The celebrities have taught us that staying fashionable is not impossible during pregnancy. So, in this coming 9 months get ready to give your best appearance. If you think, every pregnant woman has the same size, then rephrase your thought. As your body has a shape, along with the baby bump your size further varies. So when you are shopping try out different styles to get the perfect size. Just because your body shape is changing that does not mean you need to transform your wardrobe. If you are thinking of borrowing the maternity dresses of a friend who has recently been through the same phase, then you may be wrong. Buy new dresses and sync with the new flow. Moreover, there are always chances that the outfits may not suit you nature. To spend excessively on maternity outfit is baseless because your shape will be changing with every month. Moreover, after delivery you will be back to your original form. Hence, be speculative while buying any garments. Maxi dresses are a great option in this time. It is comfortable and helps you to move easily. Even lycra dresses can be another option. You can show your baby bump and share the joy of your future motherhood with everyone. If you want to give a taller appearance then simple, single-block colors will the ideal choice. Solid colors, on the other hand, helps you to cover your weight. On many occasion, women face issues like increasing body temperature and their skin become sensitive. It is better to avoid synthetic material rather organic fibers are the best choice for the moment. A lot of women prefer to opt for A-line or empire-waist shirts and dresses. These are breathable and cool; gives plenty of space allowing you to wear it even when your bump has expanded. There are some shirts, which have longer hemlines that gives space to your belly and enough room to support your upper body part. Do not forget to get your belly band. It supports your tummy and at the same time gives you the opportunity to try out stylish wear, trimming your enlarged appearance. This is a stretchy fabric band especially designed to take the strain from your lower back. Add colors to your life and choose accessories that can enhance your grace and elegance. Along with bright colors, try long earring and necklaces that goes with your appearance. Its better to avoid heels but if you can be careful while walking then go for it. You can even opt for open-toe sandals or sling-backs. Welcome your change and get ready for your motherhood with style and fashion.